I’m excited to announce that we’re rolling out a new tool in our dashboard that lets you track up to three competitors per campaign. Let me walk you through our new competitor tracking feature. When you go to the Rankings tab of your dashboard, you’ll see the dashboard page with new tabs on top. The first is your keyword rankings, which displays the list of keywords you are trying to rank for, and your current rankings on the SERPs. The second is a Competitors tab, which is where you can start adding competitors. 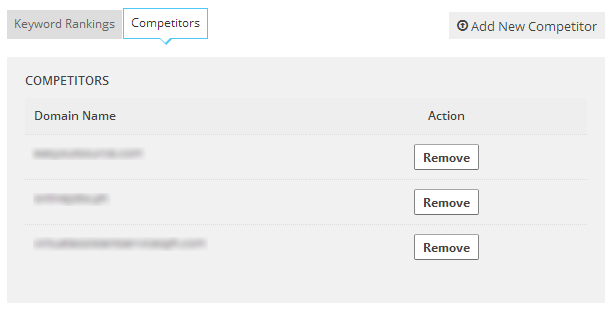 The “Add New Competitor” button lets you add up to three competitors for tracking. This will open a pop-up window where you need to indicate your competitor’s domain. Note that if you have three competitors on the list already, it will return a message saying your competitor tracking is full. It will return an error message if the domain you input is not valid. Once this is done, you’ll see the list of competitors you’ve added on the Competitors page. You’ll start seeing information about your clients’ rankings one day after adding them to your dashboard. Once you’ve added your competitors, it’s easy to see how their rankings fare to your clients’ rankings. All you need to do is to go back to the Keyword Rankings tab, click on any of the keywords you’re trying to rank for, and you’ll be taken to the page that contains more information about your current rankings. This is where you’ll see our new competitor tracking feature. 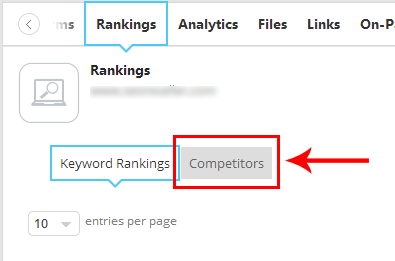 Below your keyword rankings summary, you’ll see the new competitor tracking feature. 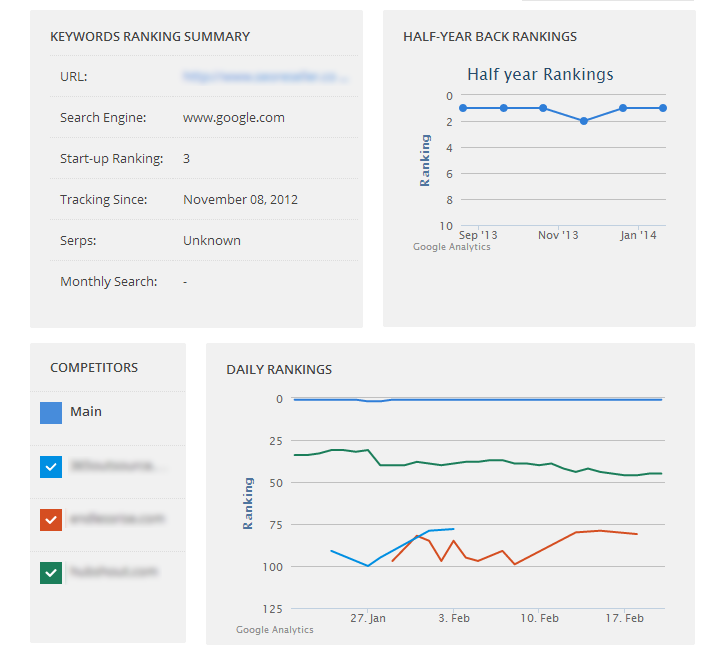 This shows you your own and your competitors’ ranking movements for a specific keyword. You can select which competitors to show, making it easy to compare your progress with one look. You’ll still find the list of organic and paid search results below this new feature. We list 50 organic search results, or 5 pages’ worth of SERPs, in our dashboard. This new feature comes free in your reseller dashboard. It’s also available in your white label client reporting tool, making it easier for your clients to view and track their competitors’ performance in one click. This new tool is part of our effort to continuously provide the tools and information you need to become a successful SEO practitioner and online marketer. Talk to your account manager today if you need any assistance with our new competitor tracking tool. You can get this and other insightful tools in our free reseller dashboard when you sign up to become our partner today.